Transformation of the technology from the landlines to the smart devices is very tremendous. Wizard Apple equipped with the iOS apps has distributed the revolution but the other wizards haven’t let out Apple to take over the market for the long-term. Soon, the wizard Android came into the market and offered their native applications. And the battle of Native App development using iOS and Android wizards began that continued for the decades. But the future was yet to reveal. Who knew that a Cross-Platform app development technology which is called React Native can bring out from this battle. This article will help you to take a glimpse of the mobile app development process from the perspective of Cross-platform app development. Cross-platform which states that your Android app needs to work on iOS and vice versa. It is no all about developing two different apps for the different platform. React Native is technology which allows you to build an application for both the platforms. Before stepping-froward to the React Native, Let’s brief the options to develop mobile applications. Assume, you are an evangelist entrepreneur with a disruptive startup idea. You have padded up yourself and you’re on the edge of launching your startup, yet the decision of a mobile app development platform has not been made. One can be questioned by themselves that which is the best platform to go with. Well, this article will help you to find the appropriate technology platform for your startup. Following the subject React Native vs. Native App Development, we’ll begin with this. For Native app development, technicians leverage towards the native technological environment. 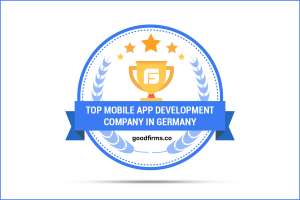 Development team prefers Java and considering recent advance technology Kotlin for Android development or Swift/Objective-C for the iOS development. The developed application can work on the compatible OS only. The result in, the product separated by high-performance and tailored-to-the-platform UX. Looking at the development, developers get access to the device’s complete feature set that allows supporting advance functionalities like networks, memory etc. Another side, the native method involves separate codebases for the respective platform. Though some native extensions allow code sharing, e.g. C++ libraries can be shared between iOS and Android application using Java Native Interface on Android. Nonetheless, you should be prepared to extend your development expenses almost double if multiple device support is required. The objective of the cross-platform app development is to create an app running on different OS without much codebase changes. In other words, engineers write code once and do not have to remake it on other platforms. The code can be shared by using specialized tools like React Native, Flutter, Xamarin etc. Apple has also made a move towards cross-platform app development by creating Swift open-source and letting it compile code for Android. Considering the article context, we will emphasize on iOS and Android. Still, you shouldn’t forget concerning the other alternatives including Windows Phone, Firefox OS, BlackBerry OS, and such others. User experience is another aspect of multi-platform app development. 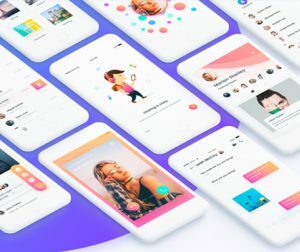 There are two main approaches to leverage custom UI likely to any platform such as Instagram or Facebook to allow a dedicated UI for each platform which makes it easy for the user to start using it. React Native provides both options as you can use React libraries to deal with platform-specific perspectives or develop custom UI elements. Thus, cross-platform apps are free of any OS hook. They advance seamless functionality, straightforward implementation, and cost-effective development. As for flip sides, you should not expect exceptional performance and extensive customization because of framework limitations. When it comes to the customization, the cross-platform certainly lay their weapons down. Some tech geeks allege that Hybrid and Cross-platform app development is the same thing. However, the most advanced tech genius has differentiated the Cross-platform app development and Hybrid Apps. According to them, one needs to combine both native and web application elements to develop a hybrid app. Mostly, standard web technologies leverage to host an application inside a native container called WebView. Ultimately, you come up with the standalone app which doesn’t require any installation. Primary benefits of the hybrid method include rapid development and reusability of code through different platforms. The flip side of the coin is the limitation of the device’s feature access. Additionally, the app will need to sustain from lazy performance and a suboptimal UX. Today, the biggest companies in the market recognize React Native as a more potential platform for the business. Now, I think you have a much understanding of what react native is, Let’s look at the pros and cons of the framework. As discussed in the before, React Native reduce the headache of building separate applications for the separate environment. Instead, the same code base can be used for both Android and iOS. It is the main privilege for all cross-platform frameworks. It is a big advantage for the developers as there is no need to learn two different technologies and platforms. This attribute provides an essentially limitless opportunity which allows inspecting the code. It maximized the flexibility to improve additional features. Code reusability is the time saver and allows developers to use the prebuilt components. Hot reloading increases the productivity of the development and in result changes made are immediately reflect on the device while running the application. New file versions can be updated runtime. Now, An engineer immediately sees changes in the app without accompanying any loss of the developed state. React Native enables declarative development for creating the mobile user interface, unlike the native development where the sequence of actions needs to build in the app. As the Cross-platform reduces time efforts benefits in cost. With the single application budget, one can develop their mobile application for the Android and iOS both the platforms. React Native supports only some of the native APIs so that some specific functionalities aren’t available. Though, native modules can be a solution to this problem. The native modules such as memory storage, push notifications, camera access, device sensors and alike functions are the solution to the above-specified issues. Use of native libraries of the specific platform, you can enable your application to access the native components. So you still need to have the knowledge of the native platform. Every platform has some specific design protocols and patterns. Android follows material design where iOS is strict for the very long time. React Native provide automatically transforms the graphics elements according to the platform requirement. Though sometimes it raises placement issues that force you to dig the code and figure out to fix the design issues. In short, React Native is an exceptional platform for mobile app development. It’s tricky to answer that which one is the best platform for the mobile app development among the Native and React Native platform. However, it depends!! If you are aiming to build a cross-platform app with simpler functionalities with a small budget, of course, React Native would be the right choice for you. But if you are looking to develop some complex application that requires native functionalities thus you need to figure out the right solution that suits your budget without compromising the application quality. If you are still confused and not able to identify the right technology solution for your next application development, reach out to us. At Zignuts Technolab, our software consultant will guide you throughout the idea to the implementation of your idea.